SEO or search engine optimization is the process of optimizing a website or blog for search engines to make sure the website or blog can easily be found in different search engines by using specific keywords or phrases. SEO experts make use of technical and creative marketing approaches to improve SE rankings, to get more organic traffic, as well as to increase brand recognition in search engines. Hence, benefits of social media for SEO are innumerable as social content ingesting is at its peak in these days because people prefer social media to find out the required details or stuff. As there are a lot of reasons why content marketing is important for a website or blog, improved SEO results is one of the benefits of social media to improve online reputation for a business or brand. Since people are incessantly focusing on social media platforms to perform search queries as well as to relate with others, SEO and social media marketing are firmly connected to each other. In this article, we are about to discuss that how social media impacts SEO to help webmasters secure visible positions in search engine result pages. Whenever you search for a brand, company or organization in search engines, you can see its social media profiles and pages along with the business website or blog. It helps a business or brand to get more relevant traffic and links as well to rank higher in search engines. In this way, a company can make its website easy to find on search engines via social media if there is huge competition for specific keywords. Appearing the company social media pages on top SERPs also improves the brand recognition and builds trust. On another hand, businesses and companies can beat their competitors to gain improved visibility in search engines. When it comes to target the local audience, social media can help you reach more people even in a short span of time. Social platforms like Yelp can help a business or company to improve its visibility in local searches to get more target audience. Social media platforms are always suggested by the marketing experts to influence locality for a business or brand. Whenever people will find you on social media and review your services or products, chances of getting high ranks in local search results are always higher. In results, search engines will help you make your site visible in search results. Social media sharing is the most common and result driven way to get more likes, comments and shares for quality content shared on your website and it also encourages users to visit your website or blog to get more valuable stuff from your side. Social sharing of your content makes your site or blog look great to search engines which can help you rank higher in search engines quickly. A big number of social shares gives authority to your online presence and enables you to make your site easy to find in SEs. Most of the social media platforms like Medium and LinkedIn also allow their users to write and post quality and valuable content without word count restriction to engage your audience directly. Sharing valuable and appealing content on such platforms can also help you get authority from those sites to increase the authority of your own website or blog. If a brand or company always share engaging and informative content on its social media profiles, the possibility of getting shared by other is always there because people always love to share valuable and informative content within their social circles. Through this way, you can easily reach a big number of the audience even from several parts of the world. Search engines like Google, always offer a visible position to content in SERPs which has quality social media shares. Improved brand recognition is one of the major benefits of social media for SEO as it can help you reach a big number of users to make your brand easily recognizable. According to the Statista.com, Facebook had 2.19 billion monthly active users in the first quarter of 2018, and it can illustrate that how much traffic you can get from Facebook to improve brand awareness as well as to get more sales. Content sharing on social media with consistency is the great way to let people know the latest news and facts about your brand that can also help you appear on the top in search engine results. Asking question, survey and commenting on trending news and information can help you get more followers for social media profiles and huge traffic for the business website as well. Nice Information for everyone !!! Great post, Noman. 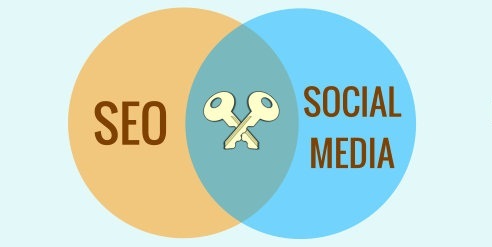 Understandably, social media plays a crucial role in SEO. In fact, many depends on social media for web-traffic. As you noted on #3, my top referral traffic source is twitter, accounting for about 40% of traffic. Amazing article. Google rank increase with the post engagement, Social sharing attract the more valuable readers. Keep posting and thanks for sharing.